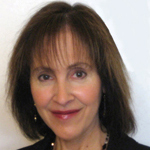 Carol Jaron is a licensed Marriage and Family Therapist serving the San Francisco Bay Area since 1991. Carol’s unique approach to counseling and psychotherapy includes integrating many aspects of your mind, your body, and how they contribute to difficult emotions, relationship issues, and blocks to your success and fulfillment. Carol utilizes both traditional and cutting edge ways to create deeper understanding of what you desire to encourage or clear up; including guided imagery, resolution oriented therapies, hypnotherapy, and communication enrichment. Specialties: Relationship issues, Adult ADD, Eating Disorders, Recovery from Addictions, Chronic Unexplained Illnesses, Hypnotherapy, Trauma Resolution, Anxiety, and Depression. Credentials: B.S. in Developmental Psychology, M.S. in Marriage and Family Psychotherapy and certified Hypnotherapist. Treatment Approach: Psychodynamic, Cognitive, Somatic, and Transpersonal. Payment Terms: Pay $130 at time of session, check or cash, and co-payment for MHN clients. us and will only be shared with Carol Jaron.